Name the Renowned Hindi litterateur and playwright, who has been selected for the prestigious Vyas Samman Award for the year 2016 ? 2nd International Women's Trade Expo was recently held at which city of Nepal. 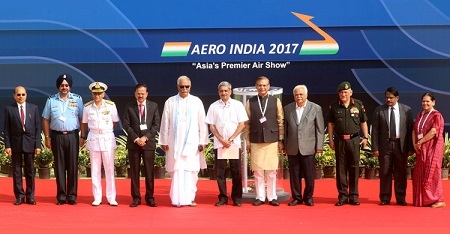 The 11th biennial edition of International Aerospace & Defence exhibition was recently held at Bengaluru. Name it ? What is the Theme of 2nd International Women's Trade Expo, which was recently held in Nepal ? Surendra Verma was chosen for Vyas Samman Award 2016 for his novel titled Kaatna Shami Ka Vriksha : Padma Pankhuri Ki Dhar Se. This novel was published in which year ? Name the Bollywood Singer, who has been recently honoured with the 'Legendary Award' by The Brand Laureate ? 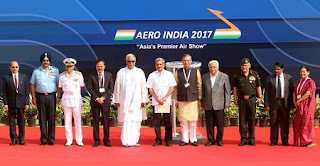 Who is the Chairman of Indian Space Research Organisation (ISRO) ? Railway Minister Suresh Prabhu was on 3 day visit to Nepal. During this visit, he had attended which summit organised by Confederation of Nepalese Industries (CNI) ? To regulate marriages of minority Hindus in the country, which country has recently passed the Hindu Marriage Bill ? The government has cut the tenure of the next chief of SEBI, by two years. Who is he ? The Centre has made Aadhaar card mandatory for availing scholarships under which scheme for College and University students ? Chinese smartphone maker Xiaomi has promoted its India head to Global Vice President. Name him ? Who has been recently appointed as the assistant coach of Indian Premier League (IPL) team Gujarat Lions for the 10th edition of the tournament starting April 5 ? Lok Sabha Speaker Sumitra Mahajan has recently inaugurated the 2-day South Asian Speakers' Summit on 'Achieving Sustainable Development Goals (SDG)' at which Indian city ?